I have always been of the opinion that the most interesting and unique white wine grapes in Southern Italy come from Campania. Some of these grapes (Asprinio) make wines that should be drunk young, while others make wine (Fiano di Avellino) that can last for 20 years of more. I was asked by Franco Bengazi of the Wine Emporium to invite a few journalists to a tasting of his wines from Campania. 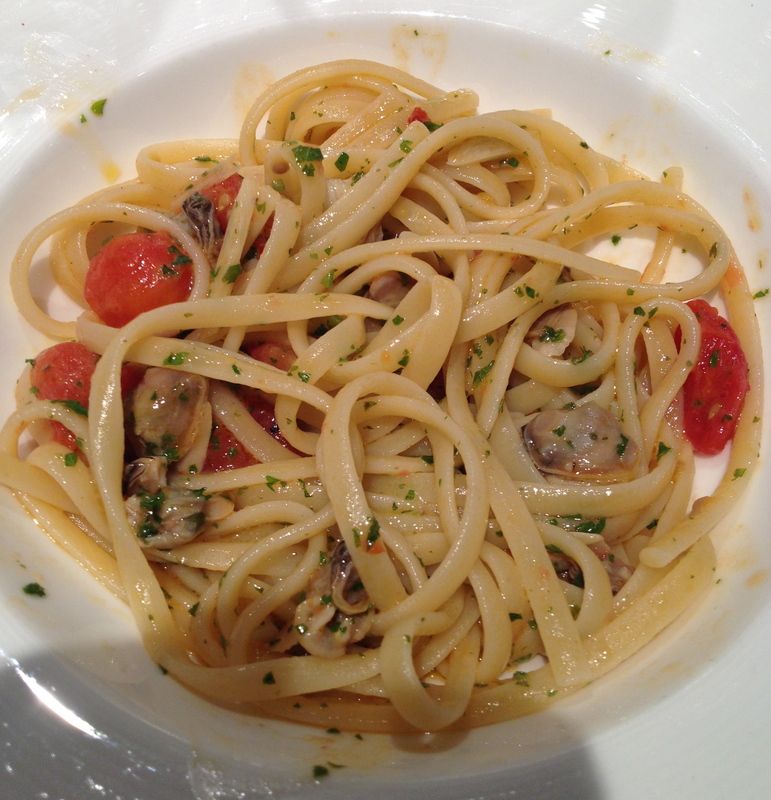 The tasting and lunch was held at SD26 and the menu was based on the food of Campania. The speaker was Marco Melzi, a representative of the Wine Emporium, whose passion for Italian wine is matched by his knowledge of the subject. Here are the four white wines that were served. Az. Agr. I Borboni Asprinio Spumante NV. 100% Asprinio d’Aversa. $20 Produced in the Aversa and Giuliano zones from sandy soil mostly of volcanic origin where philloxyera could not survive. The vineyards are at 80 meters. Hand harvesting takes place the first week of September and temperature controlled fermentation lasts for 15 days. Aged in stainless steel for 4 months. The foam stability time is 60 days in an autoclave (Charmat method). It remains in the bottle for 30 days before release. This is a sparkling wine with good bubbles nice citrus aromas and flavors, a hint of lemon and a slight touch of bitter almond in the aftertaste. It was almost impossible to find Asprinio in this county 10 years ago. Today it is not impossible just difficult but worth the effort. It is a good food wine. There is also a non-sparkling version of Asprinio. Asprinio is a grape whose origin in unknown but it is grown almost exclusively in the area around the town of Aversa in the province of Caserta north of Naples. There are only 250 acres under cultivation. The name may come from the Latin asper (tart, bitter) and it can have a sharp lemon tinge to it and a slightly bitter aftertaste. The training system for the vines is know as Alberata Aversana, which may be traced back to the ancient Etruscans. In this method the vines can climb to a height of 15 to 20 feet or more attaching itself to nearby trees. One plant could produce over 200 pounds of fruit. Today only about one half of the growers use the Aberata Aversana method. 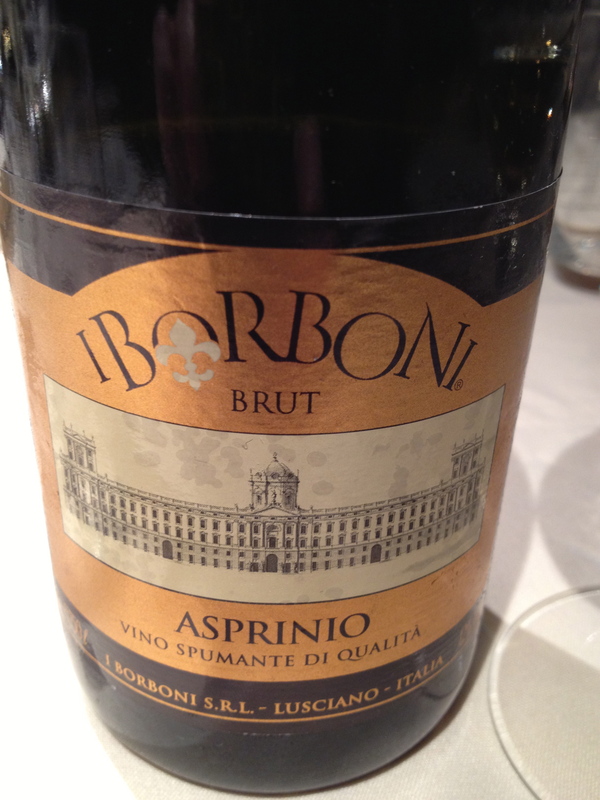 There is also a non-sparkling version of Asprinio that is also very good. Marco said that this was the original sparkler of the King of Naples, born out of a desire to be no less than their French relatives. It was the wine of choice in Naples until the 1950’s. Made from 60% Bianca Zita and 40% Biancolella in Tramonti. The exposure of the vineyard is mostly southwest and they are at 300-400 meters. The training system for the newer vineyards is the espalier/guyot with 4,000 – 5,000 vines/hectare. For the older vineyards it is the traditional pergola (tendone method) with 2,500 vines per/hectare. Harvesting is by hand the second half of October with a careful selection. The must is left to settle by a static cold system and selected yeast is injected into the must. Temperature controlled fermentation takes place in stainless steel tanks for 20/30 days. The wine remains on the lees 4/5 months. The wine had a deep yellow straw color with nice fruit, hints of honey and oil, good acidity, slightly bitter with a long after taste. This is an old style wine, which can go with seafood in a tomato sauce and works well with salami and cheeses. I really enjoyed it. Marco said they were the first winery to bottle wine in Tramonti. Biancolella as know as Bianca Tenera because of its thin skin. It is best known as a grape used in wines produced on the Island of Ischia. It grows best in volcanic soil alone the maritime coast. It is grown along the coast north and south of the city of Naples. It is mostly used as a blending grape. 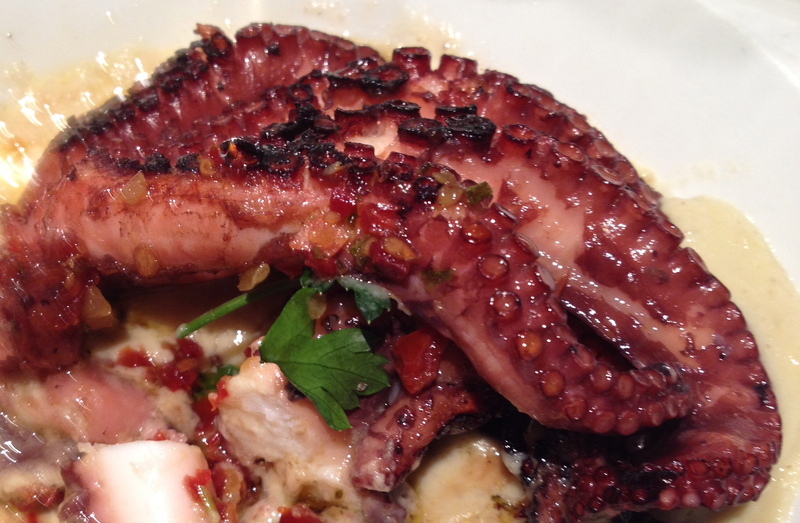 Marco said that Bianca Zita was a local name for Falanghina. Az Agr. Orazio Rillo “Fontanavecchia” Falanghina Taburno 2011. $16 Made from 100% Falanghina in the Benevento region of Campania. The grapes are hand picked and put into little baskets. Temperature controlled fermentation in stainless steel and the wine is aged in stainless steel. 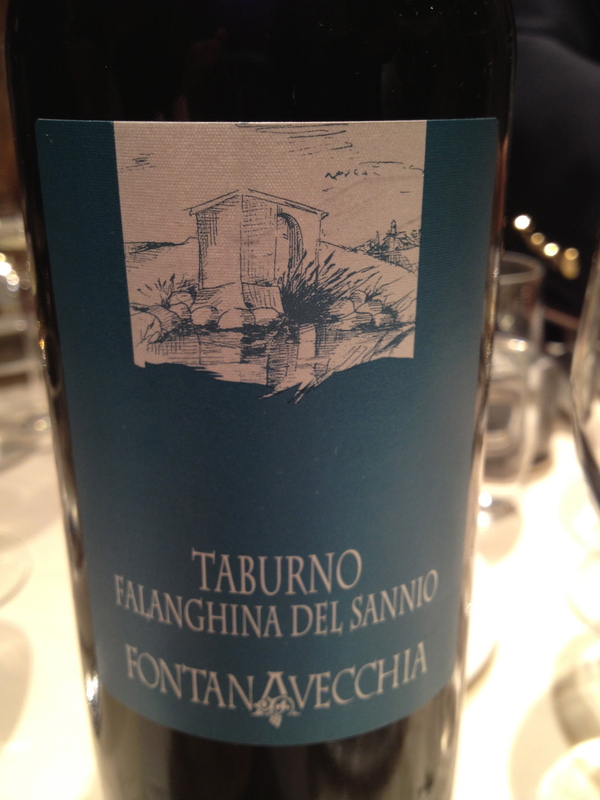 Falanghina today is very popular in Rome and more and more good examples are coming into this country. 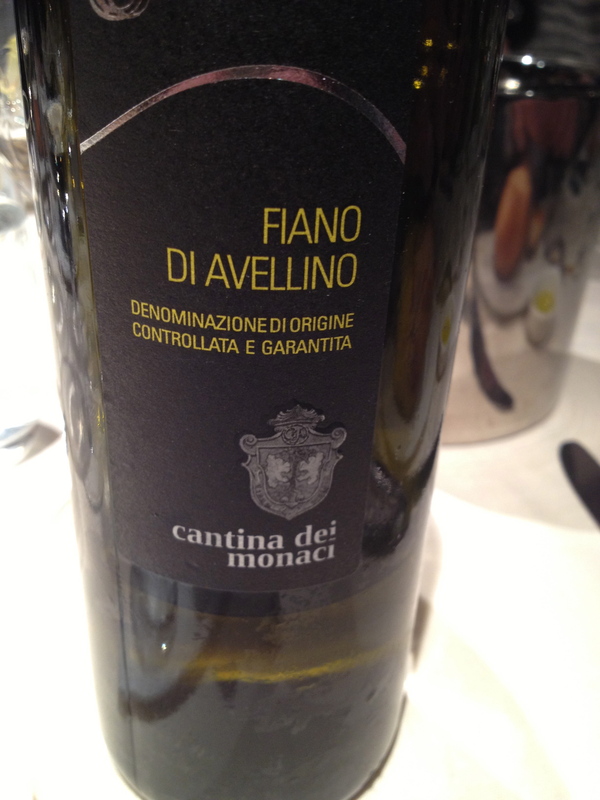 Cantina Dei Monaci Fiano Di Avellino 2011 100% Fiano di Avellino. $18 Fermentation and aging is in stainless steel. Fiano has small thick-skinned berries. This is a complex wine with overtones of honey and hazelnut and floral hints. Charles: You are right about the distinctive characteristics of the whites from Campania, as they are indeed among the most singular as well as the best white wines from Italy. Franco and Marco have done a great job at bringing in some remarkable examples. Ciao Tom- Yes tom I agree!